The country’s top public servant received profanity-laced social media messages calling him “garbage,” a “traitor,” a “loser” and a “liar” after defending the Trudeau government’s conduct in the SNC-Lavalin affair. 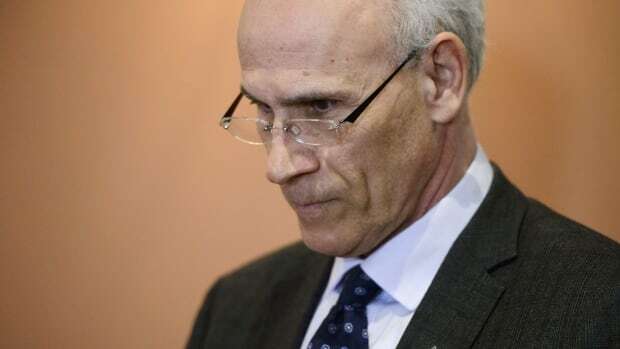 Michael Wernick, clerk of the Privy Council, tabled with the House of Commons justice committee Wednesday some of the messages he’d received since he first testified on the controversy two weeks ago. “I believe that you will want to discuss this as the intimidation of a witness before your committee and a breach of the committee’s privileges,” Wernick said at the time. As it turned out, committee members did not want to discuss the matter, preferring to concentrate on Wernick’s alleged role in pressuring former attorney general Jody Wilson-Raybould to halt a criminal prosecution of Montreal engineering giant SNC-Lavalin. No one asked about the messages, sent to Wernick via Facebook messenger. Nor did the committee release them publicly, since they were not in both official languages. However, on Thursday, Wernick’s office released copies of eight expletive-filled, sometimes barely coherent messages. “Your garbage pal. If you don’t want to be calked name like treason and traitor then don’t indulge in it then, you (expletive) idiot goofs!” said one. “You should be ashamed of yourself for the comments about assinations! Arrogant pos! Get a real job you (expletive) deadbeat,” said another. Wernick prefaced his first appearance before the committee with surprise remarks about the deteriorating state of political discourse in Canada. The social media vomitorium, as Wernick called it, has been less restrained. “Michael, you are dirty. Your manipulation of the fallout on the SNC-Lavalin criminal bribery scandal does not look good on you,” said one message he received. “You’re a loser. And a liar. You’ll amount to an absolute nobody in Canadian history. A spineless puppet,” said another. “YOU SHOULD BE FIRED. A disgrace to Canada … Overpaid, bureaucratic LIBERAL BOZO … protecting liberal LIars!! !” opined yet another.